Why Is There so Much Spam? - Ask Leo! Even though most of us might never fall for it, the reason there's so much spam is simple: spam works. Between bouts of frustration with my inbox, I’ve been reading your various articles on spam. I think I’m slowly getting a handle on it all, but it sure seems crazy. And it really got me to wondering… why is there so much spam in the first place? I define spam as “unsolicited email” — email you did not ask for. There are different types of spam, but in almost every case, sending spam is so cheap that it doesn’t take much for a spammer to declare that a spam campaign a rousing success. For example, say a spammer sends out 10,000,000 emails pushing a knock-off of the latest wonder drug. If only a tiny percent — perhaps even just one person out of ten million — purchases the drug through him, the spammer has made a profit. It doesn’t matter if it’s fake watches, body-part enhancement aids, or cheap computer software; if even the tiniest percentage of spam emails result in a sale, then that spam was successful, and you can bet it will continue. We don’t fall for scams, do we? The most famous scam is the so-called Nigerian scam, also known as the 4191, or “advance fee”, scam. You receive an email “in confidence” from some supposedly high-ranking official attempting to move large amounts of money out of their country. They need your help, and in return they promise you a significant portion of those funds. Once you engage, they use various techniques to scam money from you until at some point you realize you’ve been had. That’s common knowledge, right? Nobody falls for that any more, right? I thought so too, but it turns out you and I are dead wrong. I checked with ScamBusters.org, and would you believe $100 to $200 million dollars are lost to these scammers every year? People continue to fall for it at an alarming rate. You can see why variants are so popular right now. As I write this, I’m getting notified several times a day of various lotteries I’ve won overseas, and I still get variations on the Nigerian scam where the names and countries have been changed. They exist because they work. They don’t need to work often, but even the occasional success on the scammer/spammer’s part is enough. Do you know there’s a wrong time to use the “Report Spam” or “Junk” button? Why shouldn’t I use the “Report Spam” or “Junk” button? covers the topic. Is that email really from who you think it is? Phishing is email that looks like it came from a legitimate source, like eBay, PayPal, your bank, or your ISP or email provider. It asks you to visit a site to confirm or update some information. When you get to that site, which again looks legitimate, you’re asked to log in with your account name and password, after which you might also be asked to “confirm” additional private information by providing things like your credit card number. The problem, of course, is that the site isn’t legitimate, and you’ve just given your login or personal information to a scammer, who probably uses or sells it within minutes. Phishing and advance-fee scams are two of the most prevalent traps we fall prey to. Some scams are very well-crafted. Some aren’t, but people fall for those too. It doesn’t take much success for a phishing campaign to be worth continuing. So why is there so much spam? Because it works. It’s dirt cheap to send out a ton of spam, and as long as just a few people respond, spammers see it as a success and continue to find ways to get their junk into our inboxes. So what about those few people? Are they ignorant? Naive? Uninformed? Desperate? Perhaps even — dare I say it — stupid? Yes. No. All of the above. Maybe. Sometimes. There’s no one conclusion to be drawn: people definitely aren’t as educated about scams as they should be. Unfortunately, that state of affairs predates the internet and email. The promise of something for next to nothing is simply too much for some people, and thus they become direct victims. The rest of us become indirect victims, wading through the sea of spam. Am I Wasting My Time Reporting Scam and Spam Emails? - Reporting spam in your email program with the spam button is critical. Reporting it by forwarding it somewhere isn't going to do any good. 1: A reference to the Nigerian Criminal Code. For me the problem isn’t that the spam’s unsolicited, but that it’s poor quality, illiterate, incoherent. I don’t like to frighten you all, but there’s a gap a million miles wide for intelligent, literate, sophisticated and, above all, entertaing spam. When the villains latch on to this, they’ll *really* clean up! People will always forgive someone who’s entertaining. 1. Legislation is required to prevent unsolicited e-mail. 2. Current Anti-Spam software is 90% useless. The can spam act was an attempt at blocking it. Just made some of it seem more legitimate. As can be seen with the do not call list, laws will not block it. The likelyhood of getting caught is slim and most are outside the jurisdiction of US laws, or could be very easily. You need to try running your mail through Gmail’s system (and using the online version to report spam to them. reporting it trains their filters). I have a domain of my own but the mail is passed through Gmail. Their system is extremely good. The blocking rate for spam is well over 99% blocked. 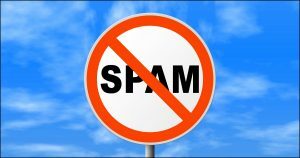 I think that I may have seen one spam message more than a month ago out of 500 or so blocked ones. The false positive rate is even better. I check the spam folder regularly and am shocked when a bulk email (from groups I belong to) gets blocked. Usually, it is one that looks kind of like an advertisement. I do EXACTLY the same thing. In addition to my gmail address, I have two other accounts that forward to my gmail account which is uncannily excellent at filtering spam. Maybe one a month at most gets through and almost zero legit emails get misclassified as spam. I believe that there are so many people on the internet who are looking for ways to promote their business or program, that they sign up to the so called free website submission programs where they give their own email address to join. Then there are thousands of money hungry people who will then send emails to them, most of which are junk. I am so frustrated with getting comments from spammers that scraped an article I wrote. My boyfriend says I should let it bother me coz no one will see it and it is a back link.This confuses me. I don’t want to be linked with the type of blog that has spam,scraped and sponged me. I have set the comments to moderation and still find this week a daily comment from the same domain with a different IP address. Do you have any suggestions for me.Just what is the purpose of hitting a blog site with spam comments? Bunny, the reason for spam comments on your blog is simple: to get a backlink to their spammy site which Google may use as a positive factor in calculating the worth of their site. That’s also why they may scrape your site, steal paragraphs of your content, and link to you in the hopes of a pingback link. It’s all in their attempts to fool Google and other search engines into believing their site has something worthwhile on it. Since I started using Gmail I hardly ever get spam. Maybe once or twice a month one will get through, and for some reason it’s usually an obvious one, like a Nigerian style scam. I check the spam folder but haven’t had any real mail dumped there yet. Why does Gmail’s spam filter work so well? I’d take it as a godd sign. It means you’re getting traffic. Spam is a way of life. In fact, over 85% of user submissions are spam. It’s a force, a phenomenon, that will never go away. I have a site, a personal aside, that encourages it- part joke, part experiment. My unsolicited advice: get over it! Why aren’t Yahoo! ; Hotmail; Gmail; AOL and other similar web mail providers more circumspect with e-mail account registrations? When I have time I forward scam messages, complete with headers, to the provider concerned and in their defence they usually close the offending account immediately. The scammer/spammer, however, simply registers another and off they go again. What I find quite extraordinary is the so obviously forged names which these providers permit, presumably by use of an automated registration processes. we simply have to get over it! Actually most email services have stopped automated account creation completely using techniques such as Captchas and rate limiting account creation. What spammers are now doing is hiring cheap labor to quite literally create these accounts by hand. Thanks for the newsletter, it’s great! Idea – computer manufacturers could include a start up screen that would activate when you set up a new computer that outlines spam, scams, phishing, hacking email addresses, strong and to change passwords, etc. Yeah, I know, alot of people would just skip it (especially if it’s not their first computer), but if it saves some new computer people, it would be worth it. I’m not a programmer, don’t know how much work it would be for the company to do an info page like that, but it would only need to be programmed once – that component could be added to each subsequent start up program, right? I wish that ISP’s would limit their users to their respective country – if you’re not in the US you can’t sign up on yahoo.com, etc – it would have to be yahoo. (your country). Then ISP’s give their customers the option to “opt out” of certain country “codes” – never receiving those emails. That startup screen would be easy, BUT – NO ONE would read it. It’d be an annoyance and a waste of time. Consider how much information there already is on the subject that most people pay little or no attention to even after having been told again and again. I like the sentiment expressed by the idea, but IMO it has zero chance of any significant success. To the gent that hardly ever gets spam on Google – Check your spam folder, it is there. along with e-mail that you might want to get. Same with Yahoo mail. Yes. That’s me too. I hardly ever get Spam in my account. They’re two emails in my Spam folder right now, three weeks apart. And as usual, Google will delete them once they’ve been there for 30 days. Gmail’s spam filter is IMHO sub-optimal. My wife received a mail from a nephew and forwarded it to my computer — not a Nigerian in sight — and Gmail stopped it as spam. After a few months training, Gmail is now 99.9% effective for me. I get over 400 spam emails a month and only occasionally does one slip through the spam filters, so spam has become a non-problem for me. I suspect many are unwilling to invest the little time that is required to do the training. In an ironic twist, Mozilla Thunderbird always thinks Ask Leo is a threat. I have to tell it to ignore the warning every time I open the newsletter. I can’t seem to train it to know the Ask Leo and The Straight Dope newsletters are legit. I’ve added them to my personal email address list but no joy. I can only assume it’s due to the HTML embedded. I love those ones that say they want to bring money into my country. When I have the time I string them along as if I fell for their BS. They spend days convincing me they are on the up and up. I keep asking stupid questions just to make them work for it then when it comes time for me to pay I say no and they spend a bunch more time trying to convince me. Some of them get real mad. lol. I’m with Rick. I love stringing these jerks along. I’m not working and I have time to waste, so why not? I figure if they’re spending time on me they’re not bugging somebody else. I make up idiotic scenarios about why I can’t send money at that moment – “My wife’s getting married and I have to disinter the groom.”, or “My mother needed $1,252.59 for treatment for her acute dromadrosis.” I had one going for almost a month. I had a blast but I think he got a tad PO’d. b) by number of messages per day (say 50? ); or c) by a combination – or something similar. You, Leo, would obviously register for more than the “standard” allowance – but you would have to satisfy the ISP w.r.t. your bona fides. The bulk of the spam I get is from myself. I have receives thousands of returned emails as undeliverable in the last 8 months. Spammers have adopted my domain as a return address. Those thousands I receive can only be the tip of the iceberg. They have had to have sent out millions. Do you think it would be wise of me to delete the domain? I have several web pages attached as well as email accounts set up under it. It would mean starting over on everything. Since I have stopped developing my pages as a result of this perhaps it is a non issue. This is “from spoofing.” It’s not coming from your domain and no need to close down because of it. The spammers send out emails using a program that makes the from the same as the to. So I would get the very same email but to me – and from me. The most puzzling aspect of SPAM is when there is nothing but silly phrases that are meaningless. At first, I was concerned that it was code to insert malware into my computer. But with up-to-date processes to monitor it, along with UAC, and weekly application of total system scans, I’m not seeing any malware takeover. I could be mistaken, but after 30 years of computer usage, I’m not seeing any unusual behavior in my system, nor has any personal or business information become problematic. The other question is why GMail can do such an excellent job of separating SPAM (for FREE!) while ISPs, either, cannot or want $7 a month to do so. Google has more money and workers to write their filters than most ISPs. Google crowdsourses the spam identification. Every time a person marks a message as spam, it adds a data point about what is spam for their filters. I would guess that Google’s spam filters work better, or at least, as well as those spam filters you have to pay for. It’s a good idea to route all of your emails through Gmail for spam filtering. How do I route my mail through Gmail? When I get spam in my inbox I put a checkmark and mark it as spam. I look through the pages in my spam folder to make sure there’s nothing from people I want to get email from and I delete it all. I never open spam because I don’t know what’s in there. After 30 years you’d think the ISP’s would have developed a Pay for Email system – If only $0.001 – a tenth of a penny per email, people would be careful to cull their Reply All tendencies and spammers would be hit hard. I participated in a software testing assignment few years back. We wanted valid email IDs and used to give friends’ names such as John@xyz.com, Bill@abc.com. One reason for spam could be such testing going on world over. I don’t get much spam, and most of what I do get is automatically filtered to my Spam folder. One way I achieve this is to minimise use of my “official” email address. Instead I mainly use Yahoo disposable addresses (like I do with you Leo) and if spam starts coming to one I simply bin it and create another one (renewing any subscriptions or whatever I want to associate it with. A couple of times with phishing I have visited a website and put “spoof” info in, false name and card number etc. It might be a good idea if lots of people would do that in order to waste the “phishers” time and put rubbish into their databases. Might be dangerous though, what do you think Leo? The way the Ask Leo! newsletter handles clicks to links causes Thunderbird to think it may be a scam. Why is Thunderbird saying your newsletter might be a scam? There was a time when I did things like. Now, I’d be more careful, considering that some sites can inject malware into your system simply when you visit them. The risk of clicking on unknown links is too great to take a chance with. For goodness’ sake, Leo! Don’t broadcast it!! It would be great if they came out with a “DO NOT SEND ME SPAM” program, kinda like the DO NOT CALL LIST for phone calls. We never know, this day in age, anything is possible. The problem is most spam comes from countries, or at least through servers in countries, where measures like this aren’t enforced. Until we can persuade the rogue countries in this world to take a common position on this problem, it won’t go away. The do not call list and the ban on spam calls to cell phones has not worked for over a decade. Spammers don’t care about US laws, even the ones in the US. For phones, there is a new law that phone companies do not have to connect the call if the “from” number is faked. The only way for them to know that would be to check every phone number in the country to see if this one is active. True, and additionally, more an more spam doesn’t come directly from the spammers. It comes via spam bots, malware which sends out spam from computers which are infected. If you block the sender, you’ve only blocked the IP address of a victim of that malware, and there are still millions of spam bots sending out spam. I’m always personally amazed, because I was a computer science major back in the mid-90s, so I’ve been telling my parents for literal decades what to look out for, what not to click, how easy it is to tell if something is legit, but they still check with me, what is this? I think this is spam! Yes, if you even think it is, it is. If you’re about to turn 70 and I’ve given you enough wariness to think about it, and you’ve thought, yes! then it probably is. What will you lose if you’re wrong anyway? After a bit over 20 years using email/webmail the amount of spam I get is next to nothing now. I don’t see a lot of it in the spam filter or inbox. A few years ago I was asked by a friend to clean over 1500 unwanted messages from their inbox and I found that they were signing up for a lot of things that promised them savings for their family etc and it just blew up. I went through them with this person and asked them to describe what each new sender I found might be for and after a few hours I had it cleared up and had a talk with them about what they were doing. I think it helped them. There is a honeymoon period for internet users when they just dive in and try everything, and eventually they ‘mature/age’ and begin to stick to what they like or pull away from some sites. The honeymoon is when some run into these troubles. Hi Leo, I used to receive only two maybe three spam a week. That changed when I reluctantly opened a facebook account. Now I get 100+! There watching us… I cancelled my account but the damage is done! I would chock that up to coincidence. Having a Facebook account wouldn’t bring on spam. Hi, Leo, in one day, i got 168 spam messages in my email. Some from repeated source. Is there a way to atleast get a minimum? I envy you that you do not get any spam message. Please give a clue about that . The best you can do is what the article How Do I Get Rid of all this Spam? says. There’s really no cure. If you are getting too much to handle. Get a new account and never give the address to any service or person other than ones your are sure of. Keep a separate address for all signups and orders, even ones you believe are legitimate.